CWA and our members have fought - and won - many fights this year against the one percent and corporate interests and their agenda in Washington, DC. We stopped an anti-union fast-food mogul from becoming our Secretary of Labor. We led the charge against offshoring jobs, the TPP and other policies that benefit the one percent at the expense of working families. We are CWA STRONG. As this year comes to a close, the Trump Administration and Republicans in Congress are trying to ram through the largest transfer of wealth from working-class families to corporations, millionaires, and billionaires in our lifetimes. They believe if they give the one percent and corporations more money, the benefits will trickle down to working families. In fact, they promise that every American family will receive a minimum of $4,000 in wage increases when they pass their tax bill. That is why I am writing to our major employers and asking them to sign a contract guaranteeing every member $4,000 if the tax legislation is passed. Trickle-down economics has never worked for us. It's the reason behind runaway inequality and the struggle we have with each round of bargaining. It has shifted power to the one percent, undermined our freedom to negotiate a fair return on our work, and jeopardized benefits like Medicare and Social Security that we all depend upon. 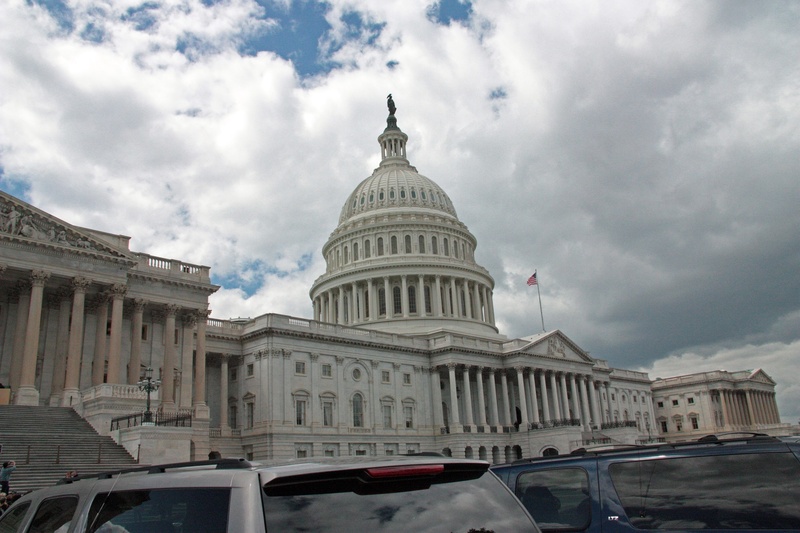 Worse still, the current tax bill will mean that CWA members' employer-provided benefits like tuition assistance for furthering education or child care coverage would now be taxable benefits. We would no longer be able to deduct state and local taxes, moving expenses, interest on student loans and other expenses. Middle-class tax breaks will expire in 2027, while the goodies for the corporations and one percent are made permanent. To stop this massive transfer of wealth, we have planned a union-wide National Day of Action on Wednesday, November 29th. 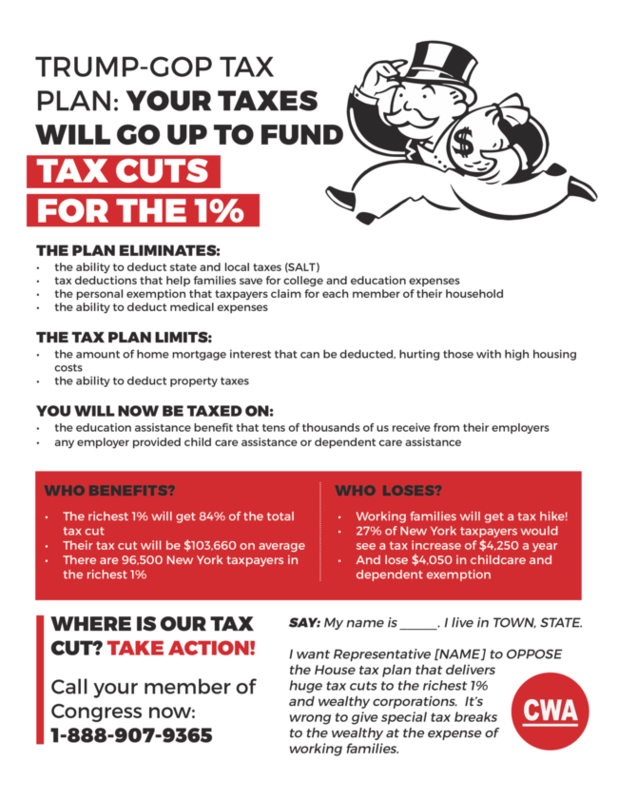 On that day, we are asking every local to take one hour to distribute the attached leaflet to all your members to educate them about what is at stake in the tax legislation. CWA members have proven that when we fight we win. Join me November 29th in the National Day of Action.